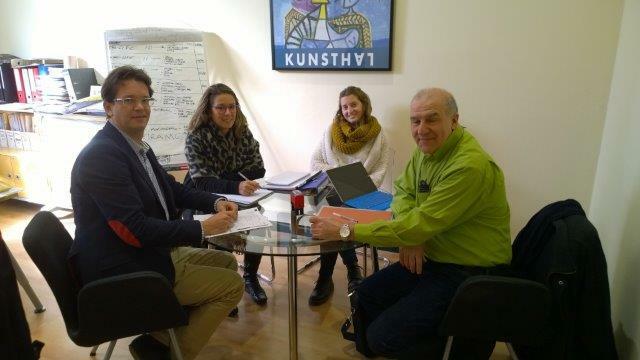 Team members of Transfer and the coordinator of TeqBio (right) meet in Barcelona the 18th of January in order to discuss some relevant technical and financial issues of the LIFE Smart Fertigation project, furthermore, they have planned some dissemination activities for the next months. TeqBio is involved in several european fairs where they can easily present the project objectives to diverse public. Transfer and TeqBio develop joint articles and press releases about the project results.